Foundation Stone Lay in : 150 Feet. Very old Sarangnath or Sarnath also known as Mrigadava (deer park), is only 8 kms. away from Varanasi in Uttar Pradesh. He set the great 'Wheel of Law' (Dharmachakra) in motion here, more than 2,500 years ago by revealing to the world his Eight fold path - the path to end sorrow, achieve inner peace, enlightenment and ultimate Nirvana. The region once housed 3,000 monks. Remains of the Dharmarajika Stupa set up by Asoka; his Sarnath pillar edict and ruins of temples and monasteries and the spot where the Emperor meditated in seclusion; takes one back to the heydays of the Mauryan empire. The remains of an ancient monastery can still be seen here. 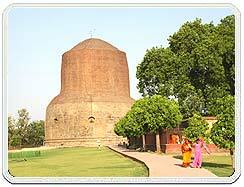 Sarnath can be accessed via Varanasi since it is only 8 kms. away. Varanasi is well connected by Air, Rail and Road. 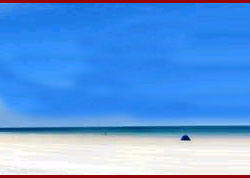 And, accommodation is available to suit all pockets.